Parents often agonise over naming their offspring, with many unwanted suggestions. 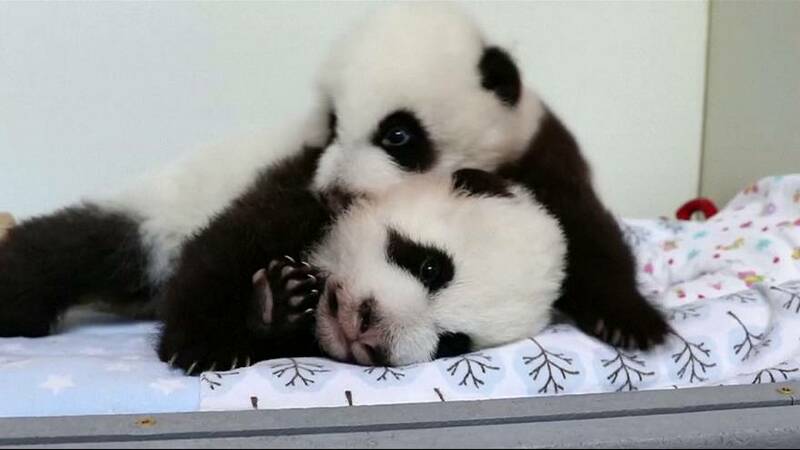 For the 11-week-old twin panda babies at the Atlanta zoo, everyone is getting a say. In accordance with Chinese tradition, the pair known as Lun Lun and Yang Yang in the United States will be named on December 12, their 100th day of life. The zoo has set up a website for fans around the world to vote on seven sets of names for the adorable newborns. 1. Ba Lun and Shu Lun: Ba Shu are ancient names of the Sichuan area and are still widely used in China, including Sichuan Province and Chongqing. Ba Shu also means “land of abundance. 3. Lun Jia and Jia Lun: The first Jia means “addition.” The second Jia means “good,” “fine” or “praise.” Lun references daughters of Lun Lun. 4. Lun Li and Lun Yu: Lun Li means “ethic” or “ethics.” Lun Yu is Confucian Analects, a collection of sayings of Confucius and one of the pillars of Chinese culture, widely read across centuries.